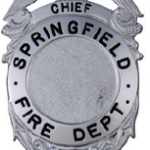 ​Many folks wear badges, but few understand the process of making a police or fire badge. In this post we highlight the two most common methods of creating a badge; casting and striking with a steel die. Here we compare and contrast providing you with the top 5 differences between a die struck badge and one made from casting. We start at the beginning with the base metal which is formed into the shape of the badge, essentially the badges backbone. CASTING: In casting there are three metals generally used: Brass, Bronze, and Zinc – which are melted down and poured into a mold. DIE: Conversely a die stamped badge is created from a solid durable base material like Hi-Glo, Rho-Glo, Nickel, etc. – the base material is not melted down the thick gauge metal is softened and stamped. Forming the shape of the badge involves two very different processes. Since the processes affect the durability of the finished badge you should make sure to ask how your metal badge is created. CASTING: A casting is created from molten metal poured into a mold which contains a hollow cavity made in the shape of the badge you desire. Because the composition of the base metal is broken down during the melting process the final product is weaker compared to that of a die created badge. Also, brass and bronze casting have poor detail quality where as a die cut badge has crisp lines capturing every subtle detail of the design. DIE: The base metal is stamped using a hydraulic press holding a steel die that drops 600 tons of force onto a 5 ounce piece of raw metal. The steel die has a reverse relief of the badge design cut into it. The metal is hit by the hydraulic press between 3 and 12 times depending upon individual design requirements. The pressure squeezes the metal into the shape and form of the die. Heat is a very important element used in the creation of a badge not only in forming its shape, but there are finishing processes that require heat. If a badge cannot withstand high temperatures the finishing processes will be negatively affected. CASTING: A zinc casting, due to its low melting temperatures, cannot be hard enameled, because hard enamel is fired in 1400 degree ovens. Also, attachments have to be soft soldered, or fusion welded onto the back of the badge. These operations create a weak bond drawing durability into question. DIE: A die struck badge can withstand the high oven temperatures used for hard enamel, also the attachment is adhered using electronic fusion and baking them in the oven for a permanent solder bond between the badge and attachment. Size matters and it should be consistent from one badge to the next. 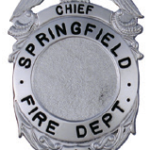 CASTING: Due to the casting process shrinkage occurs in the production of a badge, which produces roughly 2-3% variations in the overall shape of the badge. Badge consistency is important to most departments, not only when it comes to the size of a badge but as it applies to the color/finish of the badge. CASTING: There are six variations of bronze casting grain alloy material used in the casting process which can affect the visual shade of the raw bronze, so each badge run could produce a fluctuation in the shade of the badge (lighter or darker). DIE: A die cut badge is created from one base metal with no other alloys mixed in that could affect the overall color or strength of the badge. 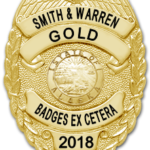 A finished badge is electroplated with a deposit of gold or other precious metal over the base metal, offering another layer of durability to your badge. The higher end base meals like HI-Glo and Rho-Glo require no plating they are highly polished and then a clear coating is applied to the badge to enhance its durability. Because the badge is such an iconic symbol for public safety professionals it is important to ensure the badge that is being pinned on is one that will last, and stand up to the rigors of the job. At Blackinton all of our badges are made in our Massachusetts factory using steel dies. If you would like to learn more about the process of making a die struck badge we encourage you to watch our video series #BadgeBuild, CLICK HERE​, which consists of nine short videos. We follow the journey of a piece of metal through our factory and watch as this metal is transformed into a piece of art – a police badge! Nickel Solution applied by electroplating to base material, silver in color. Most cost effective finish. Platinum precious metal group applied by electroplating over bright nickel base. Brilliant white color. Very popular finish. Base material with solid silver color throughout, requires no surface plating. Brilliant luster. Highly polished silver color. Any base material heavy plated silver, oxidized then hand rubbed off leaving the appearance of natural oxidation from age. Any base material plated nickel, oxidized, and then rubbed off leaving the appearance of natural oxidation from age. Base material golden color throughout, requires no surface plating. Brilliant luster. Highly polished gold color. Heavy gold electroplate (HGE) is the ultimate in 24K+ fine gold plate. This process applies a uniformly thick coating of tarnish proof high karat gold, purer and more durable than gold plate. A base material, blackened and hand rubbed leaving the appearance of natural oxidation from age. A popular finish for commemorative badges. A darkened gold electroplated base material which is hand rubbed to create the appearance of an antique gold finish. Another popular commemorative badge finish. A base material, hand rubbed to create the appearance of a chocolate antique finish. CDA 260 brass oxidized, and rubbed off to create the appearance of a natural oxidation from age in a green tinted bronze finish. Subdued black finish over a base material minimal reflection. Mainly used by undercover detectives, SWAT, etc. Our newest charcoal finish features a hint of blue, and unlike the matte finish of VHB Black, Gunmetal has a slight sheen. A great finish for commemorative or anniversary badges, as well as undercover detectives. One of our newer finishes created for our Breast Cancer Awareness Line of badges. A bold pink finish is over a base material, and lacquered for durability. One of our newest finishes created for Emerald Societies, Pipe & Drums, and Irish public safety professionals, etc. A bold green finish is applied over a base material, and lacquered for durability. Our new Domestic Violence Violet is a vibrant purple. The violet finish is applied over a base material, and lacquered for durability. Our new blue finish was created for Autism awareness month. This blue finish is applied over a base material, and lacquered for durability. Combination of gold and silver colors. Badges with applied panels will consist of Hi-Glo® & Rho-Glo®. One piece badges will consist of Hi-Glo® panels and rhodium background or Rho-Glo® panels and gold plate background. Combination of gunmetal and either silver or gold panels. Badges will consist of Hi-Glo® or Rho-Glo® panels and gunmetal plated background. ​You may be a new Chief looking to change your badge style, or maybe it’s your department’s anniversary and you would like a commemorative anniversary badge. Whatever your need, when you are looking to purchase a new badge there are some very important items to consider that will affect price, time-frame, and badge quality. 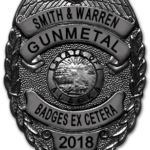 We have listed the top ten items you should consider when looking to purchase a new law enforcement, fire, military, or security custom metal badge. BUDGET: With your budget in mind you should determine how much you want to spend before you jump into designing it. As you will see reading through our listing just like a car certain add-on’s or features add additional cost to a badge.There are three levels of customization to consider. ​The most economical is ordering what we call a catalog badge (a badge design that already exists and is sold to the masses). You can personalize this badge with a custom center seal, at Blackinton® if you order more than 25 badges the seal die would be FREE. ​TIME-FRAME: At Blackinton® we manufacture to order, and much of what we do is done by hand. So, it is important to consider when you will need your badge in hand and then work backwards. A custom badge can take upwards of 8 to 12 weeks from receipt of a purchase order. This includes the production and approval of your new custom mold, a preproduction sample, and then production of the full order. It is important to factor in the time it will take to work through the design process as well to achieve consensus on the look of your new badge prior to placing an order. Once your initial order has been delivered, reorders can be shipped in a reasonable 4-6 weeks. Check out our #badgebuild series of videos (CLICK HERE >>) to get a full look at what goes into making a custom metal badge. USE/FUNCTIONALITY: What will the badge be used for? Duty wear, dress, commemorative etc. For duty you want a badge or symbol that is easily recognizable for proof of authority. You may want to consider size and weight of that badge, durability. If you are Undercover or Swat you may want a more subdued finish like black or gunmetal, etc. If you are looking for the badge to go into a wallet you will want a flat badge (not dapped – arched), and size will be very important. STYLE: Most badge manufacturers have 1,000’s of badge styles available to choose from. Browse through a website, make note of badge style numbers you like (on our site you can email yourself the images). If you are going the custom route be sure to get a high-resolution picture of the image/design element you want to include in your badge design. For instance, if it is a building or landmark take a picture at the angle you would like it to appear on your badge, with as few obstructions as possible. If it is your patch or logo and you can get a file, a vector file would be most useful to the artist as they could edit the image / text (.eps, .ai, .svg). A high-resolution (300 dpi) picture would be the next best thing (.jpg, .psd, .pdf, .png, .bmp, etc). The more prepared you are to work with the artists the faster the design process will progress. QUANTITY: How many badges do you need 10-20, 50-100, 1,000’s? For very large quantity orders many manufacturers will add a week or so to the manufacturing time. Also, many manufacturers offer quantity discounts. At Blackinton®, starting at quantities of 13 you can get a discount on your order. It may help you decide how many badges to initially order. Usually the discounts only apply to the same style badge ordered on the same purchase order, there may be restrictions when it comes to different names, etc. FINISH: Finish is more than just the color of your badge it helps to determine cost, durability, and authority. In some departments the higher ranks get a “gold” finish color and lower ranks “silver” finish color. Just like jewelry, the finish helps to determine the cost of your badge. Also, different finishes have different levels of durability, so again what are you using the badge for? If your badge is to just go on a dress Class A uniform durability doesn’t need to factor in as much as it would with active duty wear. A plated badge, although it is durable, will not be as durable as a badge made with a base metal like Blackinton®’s Rho-Glo® or Hi-Glo®. These finishes are not plated, instead the base material, being a solid silver or gold color throughout, is polished and lacquered. Take a look at our finishes, CLICK HERE >>, and their descriptions to get a better understanding. BADGE ANATOMY: Yes there are a myriad of different ways a badge can be made. Do you want a one-piece badge or a badge with applied panels? Applying panels allows for a bit more customization, but it will add to the weight of the badge and its thickness. A badge can have a solid back (smooth solid back when flipped over) or shell back which weighs less, but when you look at the back of it you can see a reverse depiction of the badge. A badge can be made flat or dapped (arched) – if you are looking to wear a badge on your uniform a dapped badge may work best with the safety catch, if you are putting your badge in a wallet you may want a flat badge. These are small items but things to consider. COLOR / ENAMEL: How much color do you want on your badge? You will notice some lines of lettering will have color in the letters (incised) this type of lettering is very flexible as we can engrave whatever you would like in this line. Other lines of lettering match the finish of the badge and have a background color. These letters are raised and are the color of the metal. (reverse panel). This means the letters are in the die and cannot be changed, so if you were going to have many different names or ranks you might want to consider an incised or engraveable panel, as it would be more economical.The biggest thing to consider is if you want a hard enamel or regular enamel. Hard enamel, while a more durable and crisper look, will add cost and time to your badge as this process adds a week onto the badge production. With hard enamel, the letters are flush with the metal. Regular is the process of paint flowed into an area then wiped out, letters are not flush with the metal you can feel an indentation. This process is much faster and typically included at no extra charge. SEALS: If your department is ordering a custom seal for a breast badge it is important to let the designers know if you plan to also put this seal on a cap or wallet badge, because these badges generally take a smaller seal. Knowing this up front will help influence the design, so it will work with all seal sizes. Also, at Blackinton® if you order a custom seal we will waive the seal die charge if you order 25 or more badges.There are four types of seals to consider. A plain seal (no color) at Blackinton® this is free with all badge finishes. A modeled plain seal is a three-dimensional seal also free. A one color or rim seal has either a background color or color around the rim, at Blackinton® this type of seal is free with high-end finishes and all other finishes incur a $3.00 add on charge. Lastly a full color seal contains 2 or more colors, at Blackinton® this is free with high-end finishes and all others incur a $5.00 charge. LETTERING: When considering a badge style you should also consider what is going to be lettered on each of the panels/lines. If you will be having ranks listed on one of the lines try to determine what the longest rank is, this will help influence the panel size. How many different ranks do you have? Also, how many lines of lettering will you need? All are very important considerations.